ARE YOU READY FOR SOME BASEBALL?! I bought a ticket, but hey I live here. Never been to a festival in Tempe Beach Park. Not sure how awful they are. Big events with alcohol are always terrible in AZ. A working spring training vacation for Ed; nice. Its over lads, Glen ain’t playing with him. The best gigs are behind us now. Sadly. i've only seen Ed solo in smaller, more intimate theaters. how does his solo act translate to a large festival? i've never seen videos or anything. seems like it'd be a weird setting for a dude just sitting on a chair playing Sometimes a little too fast? Works fine. If you’re in Italy. Everything in Arizona is awful so this is to be expected. Plus by March it'll probably be in the 90s. Will this sell out any time soon? anyone in the merch line yet? No. I doubt it'll sell out at all. 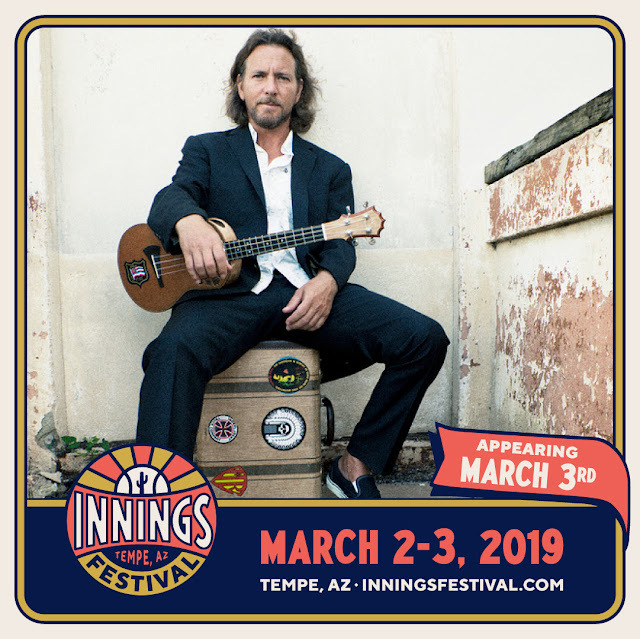 It's on the same weekend as another PHX music festival. I'm probably going to the other one. but Roger Clemens will be there!